Before an agent starts an insurance career in Annuities, they must understand what annuities are and how they work. Annuities are considered insurance and investments because the client invests money and the carrier of the annuity guarantees payment of the annuity either immediately or after a certain period of time. When the client begins to take a payment from the funds that were invested (annuitizes), the annuity pays them a certain amount of income for the rest of the client’s life. For this reason, clients are often looking to protect themselves from outliving their investments. Annuities can also offer clients a tax-deferred investment, which many investors find attractive. Why Choose an Insurance Career in Annuities? With the state of the economy and the fact that many employers are shifting the responsibility of retirement savings to the individual, so more and more people need to invest their money in personal retirement options. Many agents who have an insurance career selling Annuities find it very rewarding because they have a job that involves helping their clients obtain financial security for their retirement years. 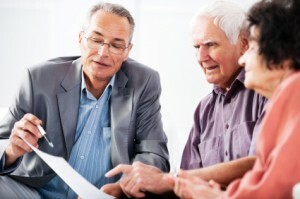 Selling Annuities can also provide a substantial income. With average commissions hovering around 7%, an agent can make $7,000 by selling only one $100,000 Annuity. Agents who choose insurance jobs in Annuities commonly choose to take up-front commissions, but residual commissions are an option. Who Would Excel at an Insurance Career in Annuity Insurance? Those interested in an insurance career in Annuities need to be self-motivated and thrive in a fast-paced and dynamic environment. To be successful in an Annuity insurance job, an agent needs to learn the ins and outs of the policies they are selling and work to understand and listen to the specific needs of their clients. An Annuity insurance career requires strong sales and marketing skills to acquire clients and sell policies, but once the policy is sold there is little service that needs to be done with this job. The extra effort and skill can result in a higher income compared to other insurance careers. There is usually no requirement for a college degree when choosing an insurance job in Annuities. However, an agent must prepare for and pass a state exam to obtain a license to sell insurance before he or she can start writing business. The section below outlines how to get started in an insurance career selling Annuities. Get licensed: Since Annuities are insurance products; you will need an insurance license to sell them. Insurance is regulated state by state, so check the department of insurance for licensing requirements. Most states require you to take an exam and pass with a 70 percent score. After passing the test, you may need to register your fingerprints. Get Contracted: There are two ways to contract to sell insurance. 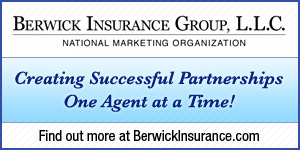 One way is to work as a captive agent for a specific insurance company. As a captive agent, you are only allowed to sell that company’s products. The other way is to work with a brokerage firm that has multiple carriers they represent. As a broker agent, you are independent and can choose which carriers you want to work with. Some agents prefer to work for one company and others prefer to be able to offer their clients more than one insurance carrier. Deciding which way to contract is a personal choice; however, most insurance agents choose the freedom of working independently with brokerage firms. Find a brokerage:Typically Annuities carriers prefer/require agents to work through a brokerage firm to get contracted and appointed to sell their products. 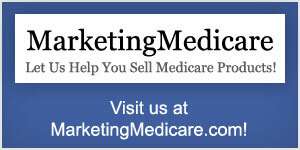 A National Marketing Organization has contracts with multiple carriers offering numerous products. These organizations provide agents a one-stop-shop for contracting, administrative support and assistance with sales, marketing, etc. Working with a National Marketing Organization is an excellent way for new agents to quickly assimilate to the business. Get started: Your insurance career starts NOW! Contact us to launch your career as an Annuity insurance agent today.